Chevy Silverado Grill. 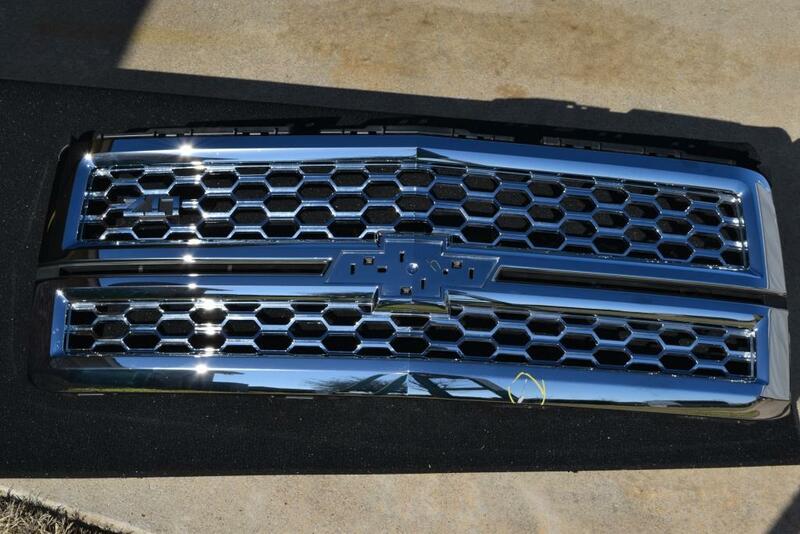 We have 9 Chevy Silverado Grills – Factory OEM Dealership Take Off Grills for Sale. These will fit most any 2014 Chevy Silverado or 2015 Chevrolet Silverado 1500, 2500 or 3500. Please verify your fit before you order. Bowties are not included by available for separate purchase. Being dealership take offs before these trucks were sold, there may be light scratches or dings you can only see at a very close distance. However, you can save hundreds of dollars. 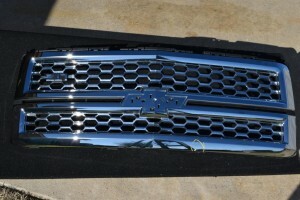 If you are a body shop or Chevy pickup owner needing a new front oem factory grill, give us a call. Price: $ 275 per grill pickup price. Shipping to lower 48 states is $ 49. Pickup is available by appointment at our storage in Point Texas by appointment. Please review our policies and confirm your fit before ordering.